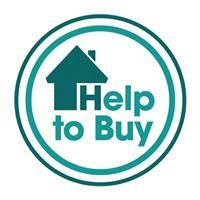 Home > Buying > Help to Buy! With more and more news about the recovery of the sales market down south, and with signs that the Scottish market is slowly beginning to recovery, The Help to Buy scheme launched in England is now available in Scotland and should help the recovery. Royal Bank of Scotland are the only lender in Scotland offering a 95% mortgage backed by the government. RBS are supporting the Government Help to Buy: mortgage guarantee scheme which will open up more mortgages for people with small deposits. So you could buy your home sooner. What is Help to Buy: mortgage guarantee? Many credit worthy people are finding it difficult to get a mortgage today because of the large deposits needed following the financial crisis. To help address this, the government has created the Help to Buy: mortgage guarantee scheme to increase the number of low deposit mortgages available for credit worthy households. Under the scheme, the government offers mortgage lenders the option to purchase a guarantee on mortgages for a new or existing property, where a borrower had a deposit of between 5% – 20%. If you are struggling to get on the property ladder please get in touch with Laura in our office 0141 221 7993 option 2, 0131 221 9131 option 2 or laura.beard@fineholm.co.uk and she can put you in touch with and RBS financial advisor.